The BCCIE International Education Awards are decided by a peer committee. Submissions for the 2018 Awards Cycle will open this Fall. 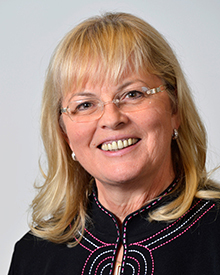 Catherine has been a visionary, leader, mentor and an exemplary innovator in the field of International Education for over 35 years and has made a significant impact on internationalization in higher education in Canada and especially here in British Columbia. The contributions she has made to her institutions, specifically the University of British Columbia and Capilano University, have been significant and lasting. It is unlikely that BCCIE itself would be here if not for Catherine’s hard work and advocacy. But it is her outreach, sharing and community building that really sets Catherine apart. At a time when few faculty on campus were engaged in exchange, Catherine led the project to focus on several campus-wide internationalization initiatives including ESL curriculum revision for degree students and international student recruitment. These were all novel initiatives and she created new space and opportunity with their establishment and ultimate success. The framework and philosophy behind these programs remains today a lasting legacy. Catherine has been a trailblazer, and one who has always been so generous with both her time and experience, that she has really been one of the driving forces behind the professionalization of International Education. A constant and active mentor to so many of us, it is hard to think of anyone more deserving of this award given her commitment, impact and contributions to the field. Thank you, Catherine. This award recognizes tomorrow’s leaders, our up-and-coming talent, and the next generation of leaders and practitioners in the field of International Education. Northern British Columbia is defined more by its vast and breathtaking landscapes than for its reputation in International Education, but there is much to admire about the outstanding work that staff and communities do in supporting International Education in the North. 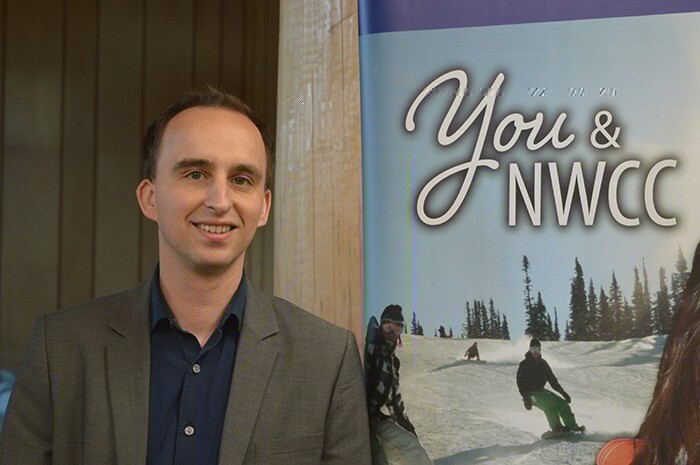 We would like to recognize an example of that work in a newcomer to the region who landed at Northwest Community College (NWCC) in Terrace to take up his post as their first-ever Director, International just over one year ago. During this time, Derek has led the development of an international strategy, helped drive a three-fold increase in international student applications and a doubling of international enrolment goals. He has supported three CiCan projects on two continents. 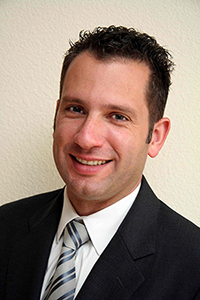 Derek is an up-and-coming leader in International Education. He works tirelessly and represents not only NWCC, but is a great ambassador for all northern institutions, with relentless energy and stellar ideas. 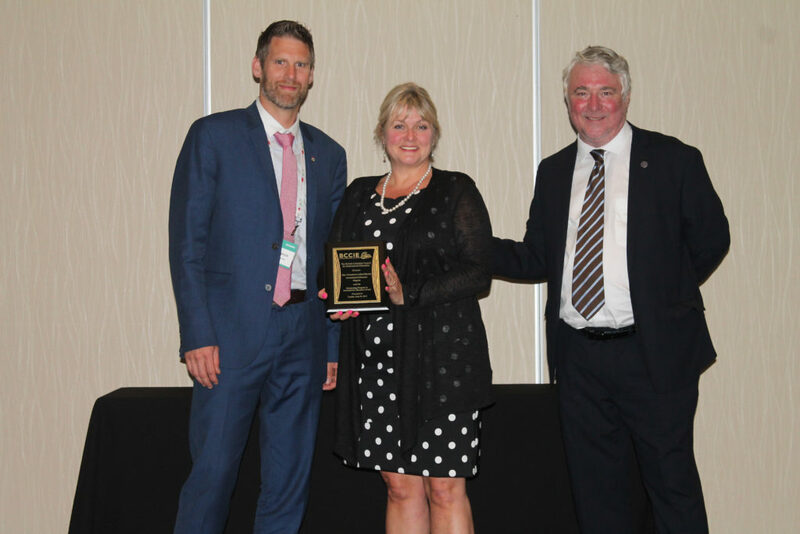 This award recognizes excellence and success in support of the education export sector in British Columbia and the marketing of our world-class education system. The Fraser International College (FIC) International Marketing Officer program provides opportunities for students at Simon Fraser University (SFU) to undertake paid international summer co-op placements at FIC marketing offices in Africa, Asia and Europe. The program inhabits an innovative space between international student recruitment and the preparation and development of students for international work through international co-op education. Students are trained and supervised by professional NAVITAS staff situated in cities around the world, enabling them to gain an international experience. 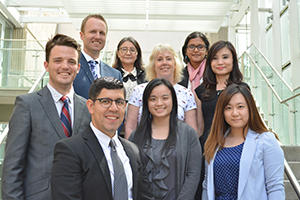 The co-op students work directly with prospective international students, gaining unique perspectives concerning student needs and aspirations as newcomers prepare to study in Canada. These experiences help co-op students and staff develop tremendous intercultural and communication skills, practice social media promotion and better understand the issues and opportunities of marketing and promotion of education abroad, all the while engaging in an immersive, extended international work integrated learning experience. This award recognizes the unique and important accomplishments and contributions of an international educator or member of the community who has effected change and leadership in the field of International Education in a senior leadership position or in service, whose work has had a lasting impact. Many throughout our sector in BC and across Canada have had the great pleasure of working with, learning from, or being mentored by the tireless and thoughtful Kyra; and clearly, we are all much better for it. 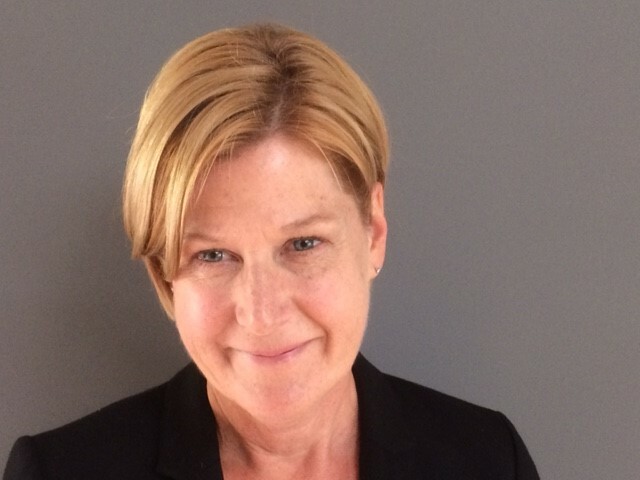 Kyra’s leadership in international and intercultural education has served as catalyst and an inspiration for hundreds of faculty, educational developers, teachers, and practitioners. An example of this leadership can be found in the fact that Kyra recently founded the Learning at Intercultural Intersections Conference at Thompson Rivers University. This gathering has created a unique community of scholars, faculty and International Educational practitioners at the nexus of intercultural, international and indigenous education. A quotation from Kyra’s nomination aptly states “I can say without any equivocation Kyra’s influence has been felt broadly across Canada’s International Education sector, and that our work has been fully enriched by her participation and leadership.” We are honoured this evening to recognize Kyra for her distinguished leadership. This is awarded to an institution, district or program to recognize high quality and highly creative programming in International Education. Imagine a world without your smartphone, in fact with only push button and rotary phones, a world with no high-speed internet connection (or any internet) and a time when there existed but 17 Starbucks locations in the whole world, with the only one outside of the US in a corner of Waterfront Station in Vancouver. That’s how we looked 30 years ago … disturbingly coffee-less. It was also a time when a small, unassuming but forward-thinking New Westminster School District had the idea to introduce international students to the local enrolment mix. The initial program provided both modest revenue to the district and in those early days, offered local students the chance to learn alongside students from other countries in their own new classroom. Fast forward 30 years and the International Program at New Westminster would be unrecognizable to those early adopters. The district is now home to 300 international students from around the globe in kindergarten to grade 12, representing 38 nations and dozens of languages. BCCIE is proud to honour the New Westminster School District, pioneers in K-12 International Education. Because Dan is the only German we know with a sense of humour, it was argued in his nomination that this more than any other achievement or contribution towards International Education should make him eligible for an award of this calibre. He has been very generous with his time and talents to British Columbia, and truly is a friend. It is also true that Dan and his team at The Illuminate Consulting Group have brought discipline to our sector, in true German fashion, a focus and tenacious commitment to research, analysis and sound evidence-based recommendations and strategies. His work has encouraged a culture that allows the development of the research-based tools required to build International Education with deference to quality, access and accountability. His evidence-based approach has engendered a transformational shift in how and why institutions and government more effectively manage the sector to implement respective International Education strategies. Generous both with his time and sharing of his expertise, Dan reminds us how better served we are when we collaborate. We are so happy to call him a Friend of BCCIE. This award recognizes the unique and important accomplishments and contributions of an international educator or member of the community who has supported change and the smooth running of the International Education machinery often “leading from behind” and whose work will have a lasting impact. 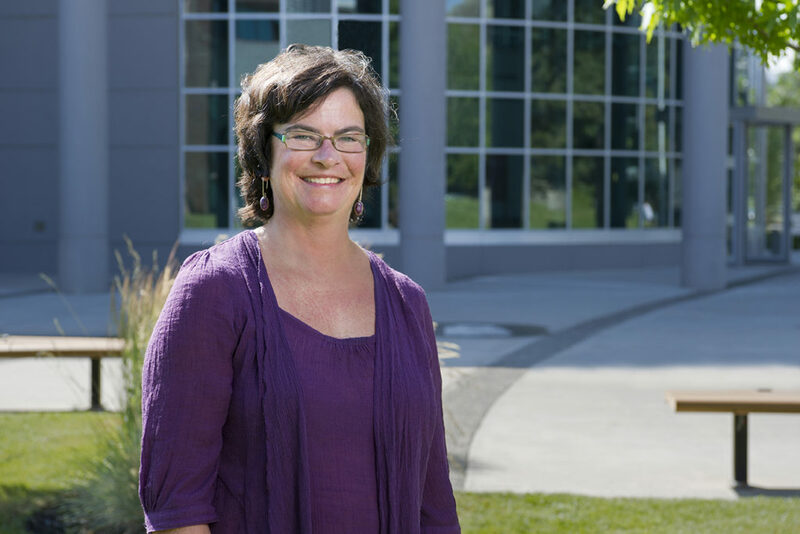 Kathren began her storied career in International Education in the Maple Ridge School District. She entered the district with social services experience dealing with children in transition, and she rapidly progressed from a Homestay Manager to the International Education Program Supervisor. She helped to grow the program from 65 to 600 full-time students during her tenure. She began volunteering with IPSEA in 2000, dedicating time to the association and serving as Secretary and Vice-President. A natural leader and people person, and passionate supporter of the student experience at the K-12 level, Kathren was also an integral part of a committee that united Canadian K-12 public school international programs to discuss a national organization: the result was the creation of CAPS-I. In 2012, Kathren became Executive Director of IPSEA, where she has enjoyed many hard-earned accomplishments: creating K-12 programs and pathway opportunities; coordinating IPSEA’s first K-12 international mission to Southeast Asia with BCCIE; and fostering strong working relationships with the Ministry of Education, the Ministry of Advanced Education, Immigration, Refugees and Citizenship Canada (IRCC) and BCCIE. Kathren has been an extraordinary asset to BC’s International Education sector for nearly two decades. Understanding and choreographing the working parts of an International Education program are not easy tasks, but Kathren does them seemingly without effort. BCCIE is proud to honour her with this Distinguished Service Award.